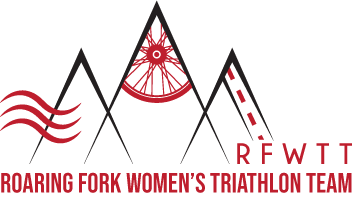 Roaring Fork Women's Triathlon Team – It's more than crossing the finish line. April 9, 2019 at 6 a.m.
How Do I Register for the RFWTT 2019? Official registration through the Reg Fox system opened at 6 a.m. on Tuesday, April 9, 2019. The Click to Register button, in the black box on the Registration page, will take you to the Reg Fox page for official registration and payment. After registering on Reg Fox, navigate back to our website and fill in forms listed on the registration page. Congratulations! Then and ONLY THEN will you be officially registered for the RFWTT! We encourage you to take this journey with us and let your inner athlete shine! 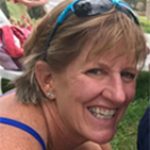 Please join our team to learn the basics of swimming, cycling and run/walking, and prepare together for the Tri Diva (click to register Tri Diva) on August 18, 2019 in Longmont, CO. This year we will fill our roster with 25 Alumni (Tri-Umphs) and 25 New Participants (Tri-Babes). When these quotas are filled, unfortunately we have to close registration. The answer to this is to register early! If spots are filled, email us to be put on the wait list. The answer is a always to sign up early! We hope this website answers most of your questions. If not, please contact us or after you have paid and registered for the team, our orientation meeting helps answer additional questions. The orientation is on Wednesday, May 8, 2019, 6 p.m. at the Glenwood Community Center. Please note: To come to orientation you do have to reserve a spot on April 9, 2019 with registration and payment. As noted above, we have a maximum quota of women for the team, and then registration for a spot is closed.  Registration is open April 9, 2019 at 6 a.m.
For the past twenty years, RFWTT has coached hundreds of women to finish their first triathlon. The team has helped many women awaken their inner athlete. Many of the women fell into two camps: they either once participated in sports but quit to work or raise families or they never had the confidence to try sports in the first place. The RFWTT gives women another chance to train, laugh, work-out, high-five, sweat, and accomplish things they never thought possible. We train in the summer twice a week, for 13 weeks, from May to August. We meet in Glenwood Springs on Wednesday mornings from 6-8 a.m. where the emphasis is on running/walking/cycling/heart zone skills. We meet again on Saturday mornings or Monday evenings to learn pool and open water swimming skills. Extra workouts, lectures, and clinics are added throughout the summer. In August, we will take a field trip to Longmont to participate in the Divas Tri where Tri-Babes become Tri-Umphs when they cross the finish line! The event consists of a 1/2 mile open water swim, an 11.5 mile bike ride, and a 5K (3.1 mile) run/walk. The 750 meter open water swim will take place in the clean waters of Union Reservoir. I do want to take a minute and thank you . This has been the coolest experience of my life. I feel like, not only have I been inspired, but I’m inspiring others. I have loved every minute of it and I am so grateful to all of you and all that you do. I have never been surrounded by women that make me feel like I can do anything, and that is how you and my team mates make me feel. I feel pretty, I feel strong, I feel capable, I feel limitless and I feel alive when I am around you and the team. You have created such a beautiful thing and you inspire me to be a better person. You have changed my life and I am so very, very grateful. Nancy, I feel GREAT about the training. My heart rate has decreased quite a bit doing the same pace as four weeks ago. For instance, walking up the hill this week, my HR was the same as it was during our parking lot walks last month. My swimming time has also improved greatly as I have learned the right way to breathe! I feel that both my strength and my endurance have improved dramatically. I have gained so much confidence doing this training and feel better about my body, my health and my abilities than I have in years. I forgot how FUN it is to work with a team — I love it! I so appreciate all the work you and Judy put into it! Still smiling! Having a few days to reflect on the race I realized how much I have learned. Our dinner was amazing and I felt so at home with all of the women. This team has truly become family. The race was becoming so much more than just a race, but I wasn’t nervous. I’ve never been as calm getting into the water and I can actually say I “enjoyed” the swim. I pushed as hard as I have ever pushed on the bike (knowing my weakness) but still felt strong and even passed people (loved the ages on the leg!). Then the run…and I spotted a teammate ahead of me (not knowing it was you yet). It sparked my desire, inner athlete, and competitiveness to try and catch up. This wasn’t my race this was a race for the team. And then I figured out it was you. It wasn’t about passing you it was about running FOR You. I just kept repeating “this one is for you coach” and dug deeper. I wanted our team to do this, to place and show you how strong you have made all of us. And then I read you caring bridge this morning…and I hope it keeps you moving forward. WE DID IT! You have all my love, respect and pride in how you tackle each and every day and your ability to keep everything in perspective even as you head off to treatment. Thanks for an amazing, life changing weekend. I felt so prepared and was so pleased with the whole experience. I loved every minute and wouldn’t change a thing! Something I gained but didn’t expect to gain from my Tri Experience this summer was the mental as well as physical self worth. I have always been athletic and sports oriented but I never approached it from a mental standpoint. The visualization was amazing! This was very therapeutic for me. Just what I needed to get through the summer! I just want to thank you both so much for all the support, advice and training you gave me over the summer. I have been struggling with finding myself over the last couple of years. This experience and the energy and support I got from the two of you and the team was exactly what I needed! Sandy. It was wonderful to be around strong, fit women. I enjoyed having a community to be a part of. What seemed impossible at the beginning of the summer was very much achievable by the end. And I learned a healthier way to get there, without pushing too hard or doing too much. Thanks again for a great season! Teka.